A white party to remember part 1! 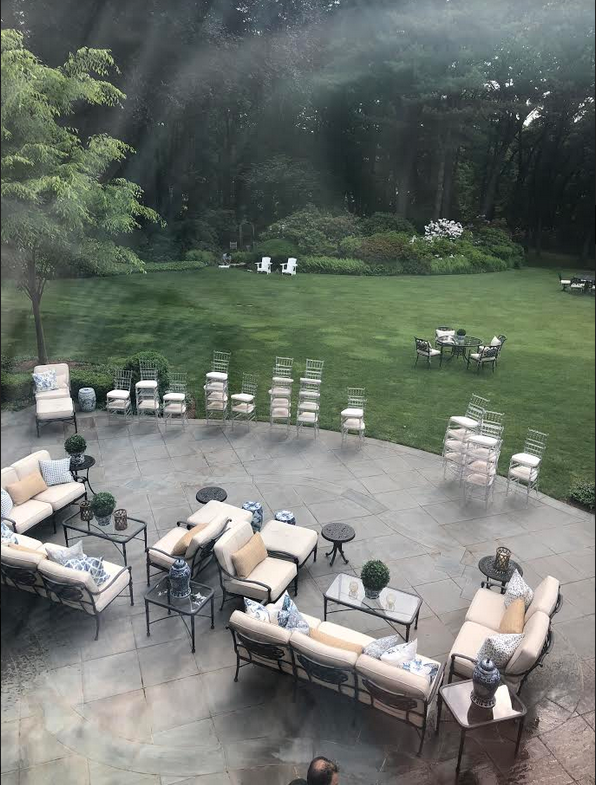 Hello…..we had been planning a graduation party for my sons college graduation/summer party for a few months. Since my life has gotten a lot busier, I only started really thinking about all the details about 3 weeks before the party realizing I better myself in gear! We had a fabulous caterer who we have used several times, Elegant Affairs who runs their business like a well oiled machine, flawless! Then we hired Los Habaneros, an excellent Cuban band, the music was amazing and created such a wonderful atmosphere. We even had a cigar roller come after dinner which was a huge hit with the guys! For cocktails we also had a sushi bar, and my son who had about 50 of his friends at the party practically put the sushi guy out of business, he couldn’t roll those sushi rolls fast enough! There were two bars with specialty drinks which was of course a big hit. All these ingredients just set the tone for a really fabulous party. My only major regret was not hiring a photographer, such a mistake. I thought about it and then figured everyone always has their phones. But fortunately, my sons good friends have a small videography side business and are producing a video for him as a keepsake of the night, cannot wait to get that! 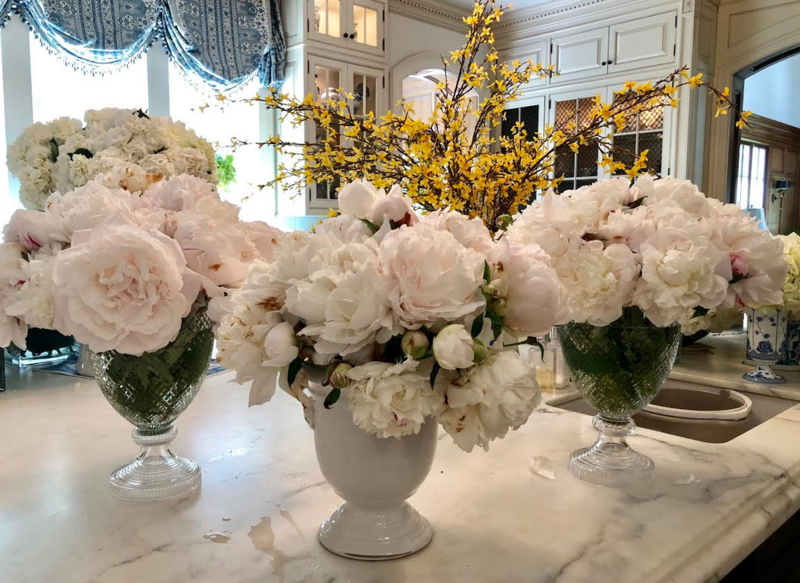 A few asked about these big white jars, they were not expensive jars bought years ago from a vendor, but they are not really high quality and the bottom turned yellow-ish when water was put in them, but they did the trick for the night! 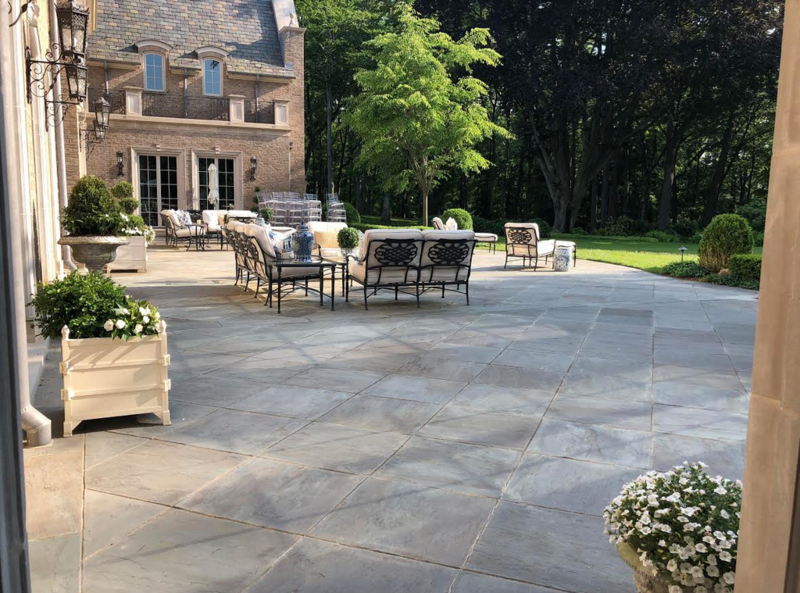 We had finished our basement/lower level about 2 years ago and it’s a really beautiful space however one we don’t use that much. 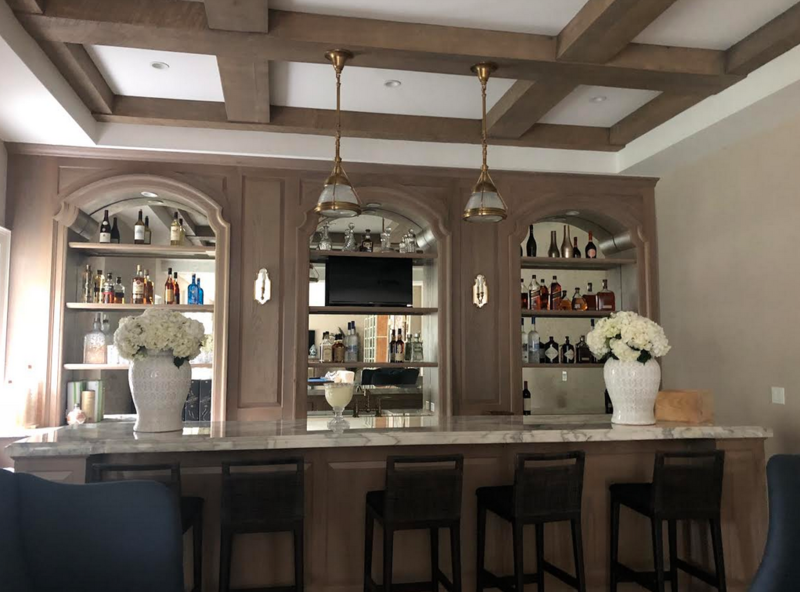 We made this huge room to be like a party room with a gorgeous bar and we have only used it a few times for a few gatherings that were small never for a “party”. So I decided this was the perfect occasion to christen this space! It was a great move as it worked out so well. 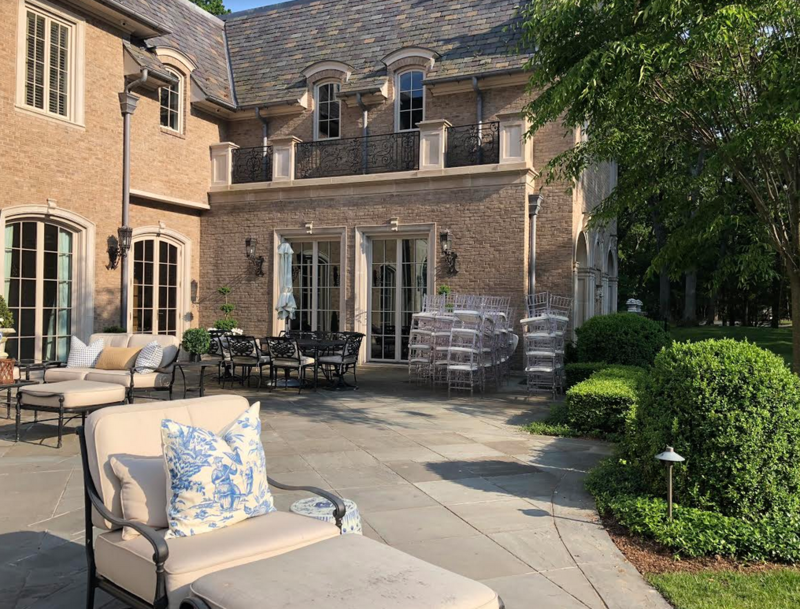 It opens to a side patio with stairs going either to the driveway or upper patio off living room. 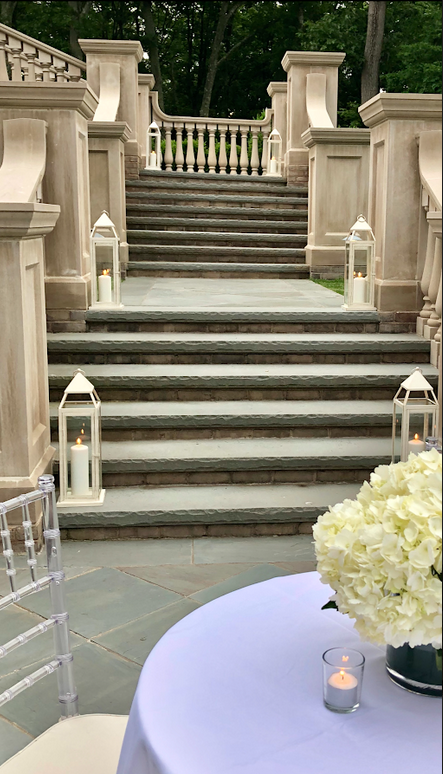 This set up worked out really well as we had valet parking and the valet attendant directed our guests to walk outside (extra nice that it did not involve people coming inside) down the stairs to the party. We opened the French doors and the bar was perfect as was the large room and the outside had bar top tables set up with a big guacamole bar. We had waiters serving a whole host of amazing appetizers. It was a nerve wrecking week as the forecast was all over the place that entire week leading up to Saturday and I was a maniac watching the weather, flipping channels constantly…really made myself nuts. To me, getting a tent would kind of ruin the vibe and effect I was after, so I crossed my fingers and prayed…..and miraculously it worked! 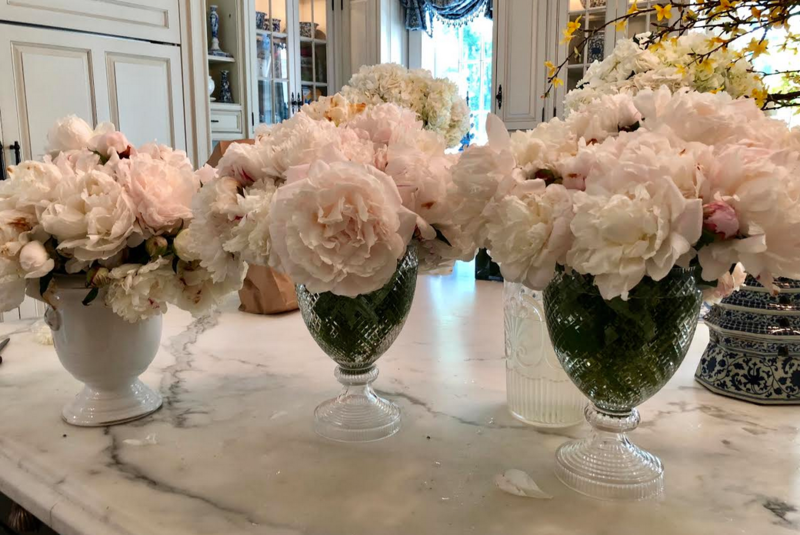 Even put the graduation boy and nephew to work…..
How beautiful are these peonies! Got them from a farm stand on the North Fork, and they were some of the prettiest I have ever seen! 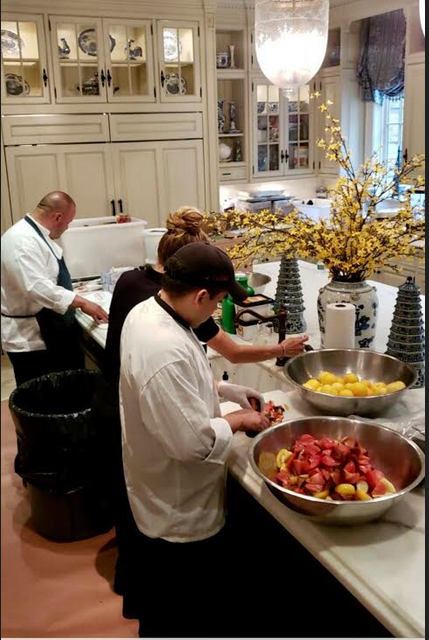 In the kitchen, the chefs were getting busy preparing an amazing array of food for the cocktail hour and dinner….so sad we didn’t’ get pictures, it was incredible! (thank you Elegant Affairs)! 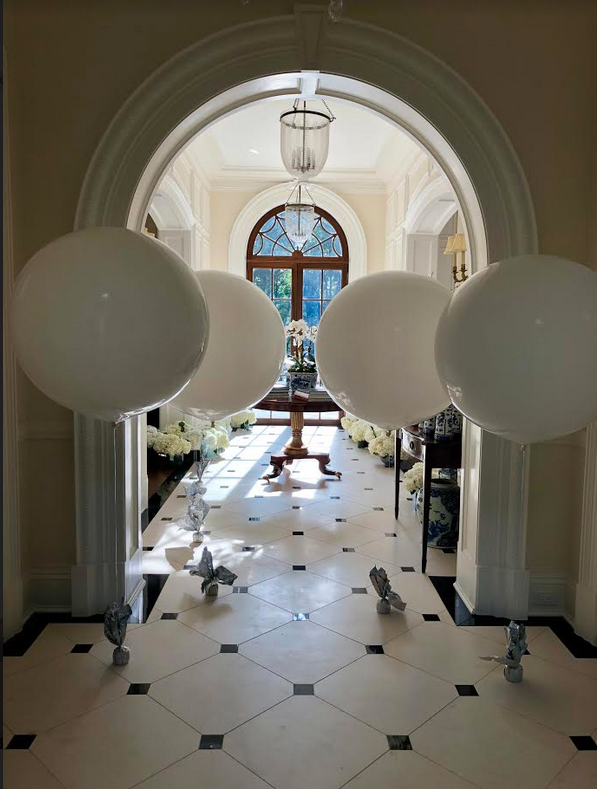 One of the best things I did was get 20 of these incredible 36″ balloons…they added SO much to the party decor and really made the entire party feel so festive! The sun is shining and it’s starting to look like a party! 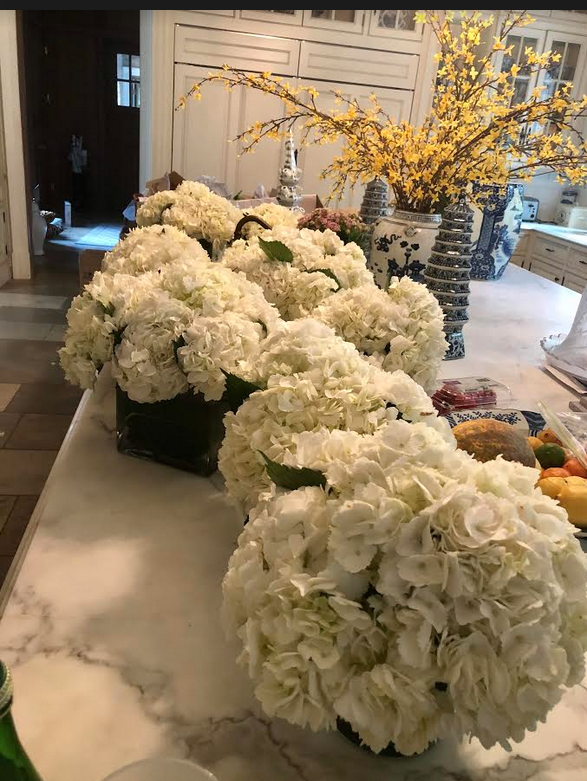 Knowing I was going to have a super busy week, and not able to make it to NYC to the flower district- I ordered all the white hydrangeas from Costco! Delivered right to my door, they were perfect, very fresh and extremely reasonable…would definitely do it again! Pillar candles can get expensive, I had gotten some at Bed Bath and Beyond and they were about $14.00 for the big ones. Guess where I ended up buying a huge stash at prices I have never seen? Ikea! Yep the big ones were about $4.00…best deal I have ever seen on them! 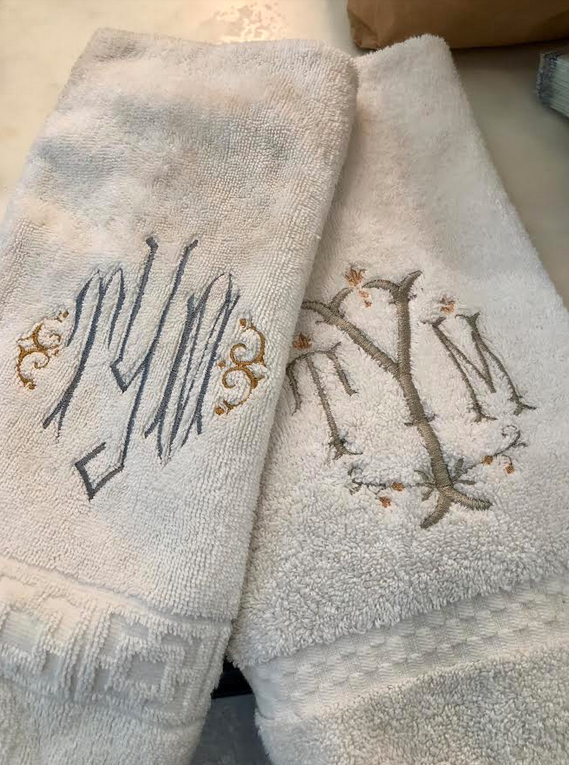 The little things count- I always add a small bud vase or mint julep with fresh flowers, a beautiful candle and monogrammed towels to my powder room(s). I believe those little extra touches go a long way. 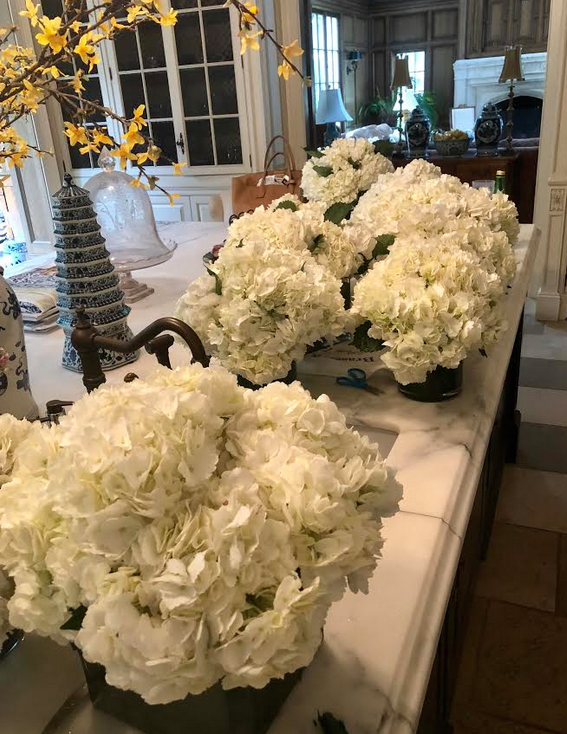 I was able to preserve my flowers for about 9 days after the party (and STILL have some)! 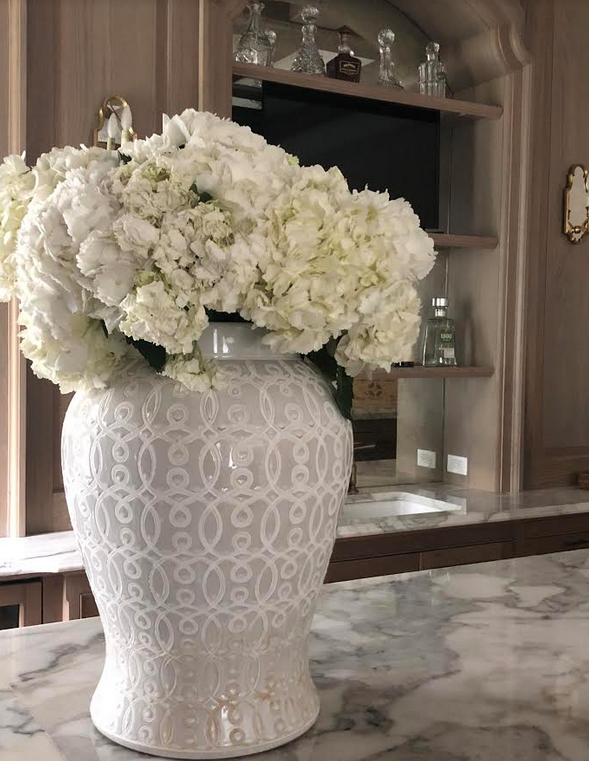 I always give them fresh cuts after the party put them in new vases/containers with fresh water, I always say it but it’s true, hydrangeas give you the most bang for your buck! All I can say is we got super lucky….it was a spectacular night in every sense. When they say the stars are aligned and how it all works out so well, this was one such night. I could not have asked for anything to have gone smoother. 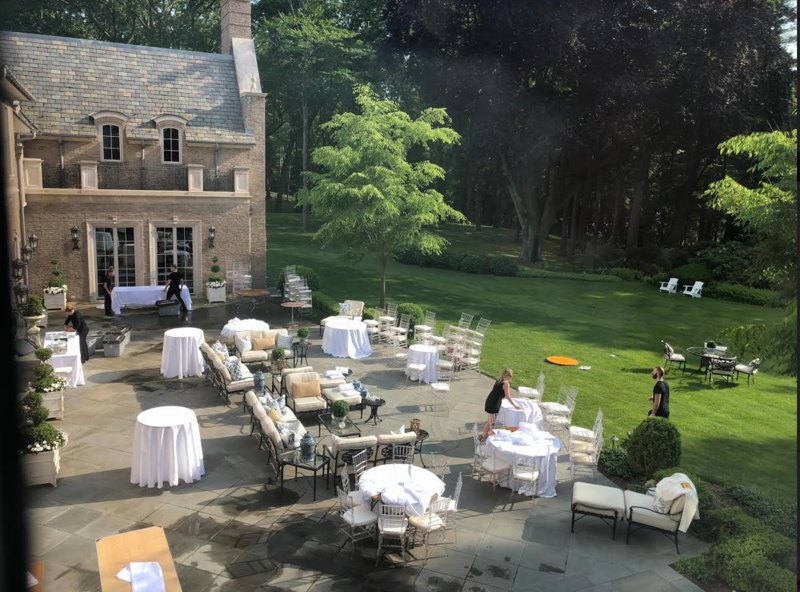 From a fabulous caterer, to a talented band, the decor, the guests, everyone in white, the weather, feeling the love from friends and family- does it get better? I think not. 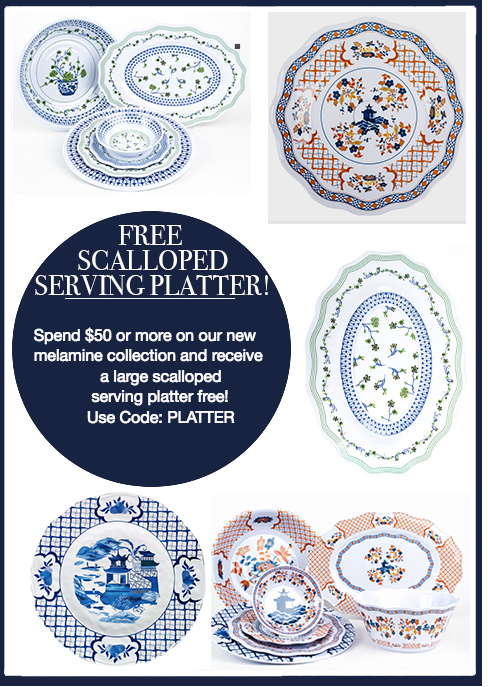 PS Today and tomorrow, spend $50 more on melamine and get a free serving platter!! Summer is here and this melamine is perfect for all your alfresco (and indoor) meals! Click here to see the patterns and pieces. You are one amazing lady! Everything is so gorgeous, what a wonderful night you gave your son, family and friends. I know your son must have really appreciated it all so much. I admire your energy and enthusiasm, it’s contagious! Great tips for party planning, thanks so much for sharing, really enjoyed the post and great ideas and congratulations to your son! I, too, admire your energy, enthusiasm and talent! Such great tips ! It must have been an extraordinary evening and I am sure the memories will be treasured! As always- thank you for sharing! So Happy the weather cooperated. What a fabulous party! Can’t wait to see Part II. You are amazing! Love your ideas! 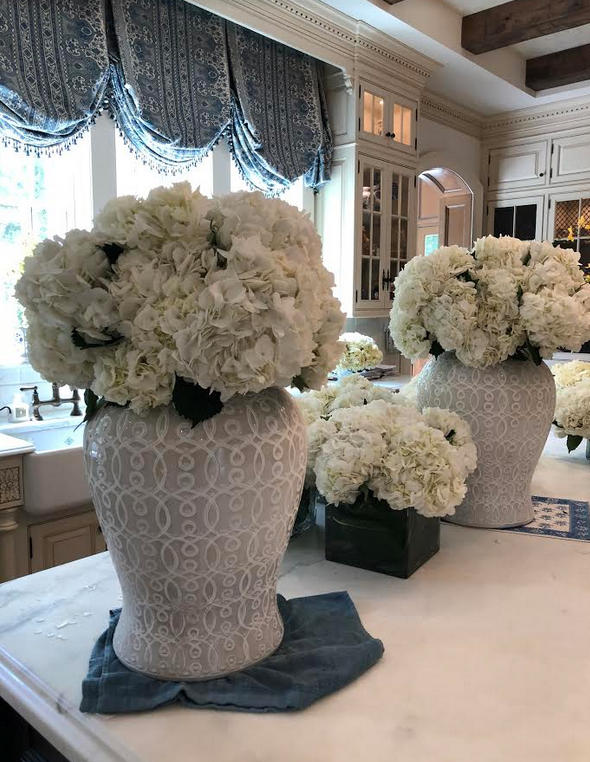 I am headed to a Fete en Blanc next week and am going to use some of your tips for our table’s decor. When I grow up, ( I’m 76) I’m going to do parties like you. Envious of your energy and of the two sinks under the three windows in your kitchen. Blessed you are! Just a note of thanks for your company as a resource and your sharing of personal photos, experiences, resources and tips. and appreciated. 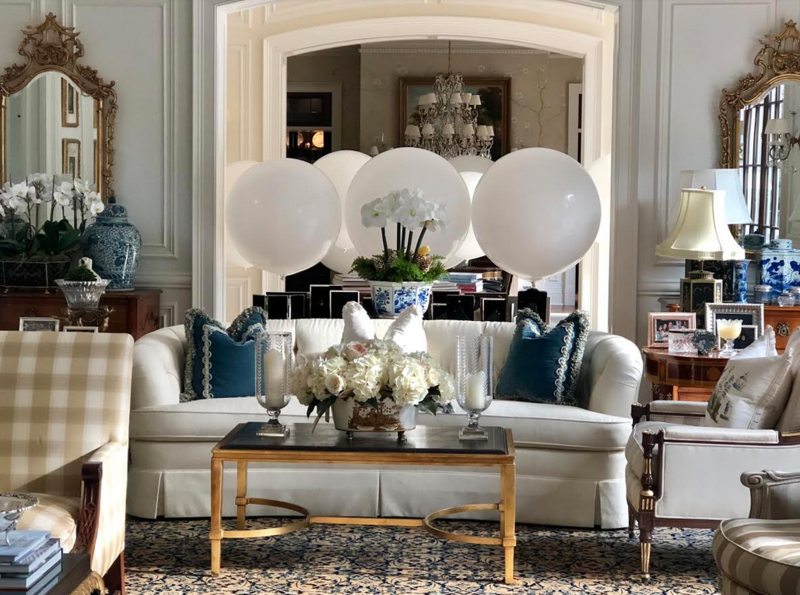 Your website is right up there with my other favorite, Carolyne Roehm. Might there be a book in your future? Again, thanks. I really enjoy the enchanted home.com. I love to see how everything comes together! Thanks for sharing. I look forward to the next round of pictures! Awesome post. Loved reading it. Thanks for Helpful tips. Your story and pictures make me feel like I was there with you. 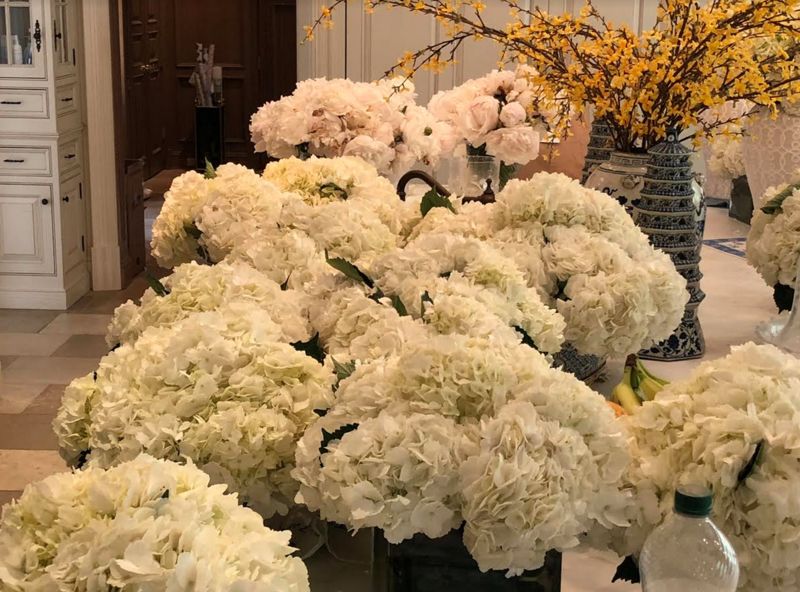 Your talent at party arranging is in full bloom. Looking forward to more photos of your event. As always, this post left a big smile on my face!!! You are the greatest!!! Wow! This looks AMAZING! 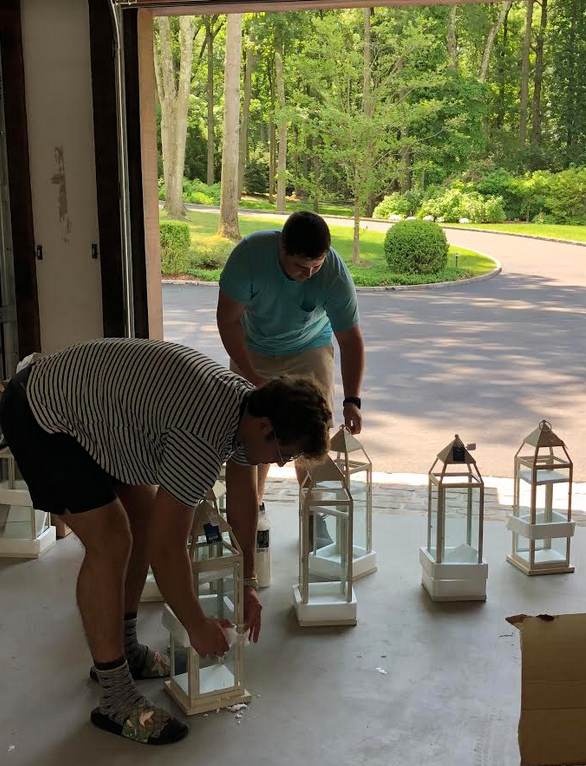 Don’t know if you would be interested or not, but for those large white jars that changed color when you added water, you COULD buy that Leak Stopper Rubber Sealer or Flex Seal Liquid Rubber Spray and spray that stuff on the interior of your jars. Perhaps tape off the exterior with paper or plastic so you don’t get overspray on the actual jars. Those jars are a whole lotta look for not much $$$ and, to me, worth trying to fix them so they don’t change color on your. Even knowing what I know about your jars, I would still buy them today, because they present so well. Can’t wait to see the actual party post. Thanks, Tina! Congrats to your son! Always look forward to your post, so beautiful and love the resources. 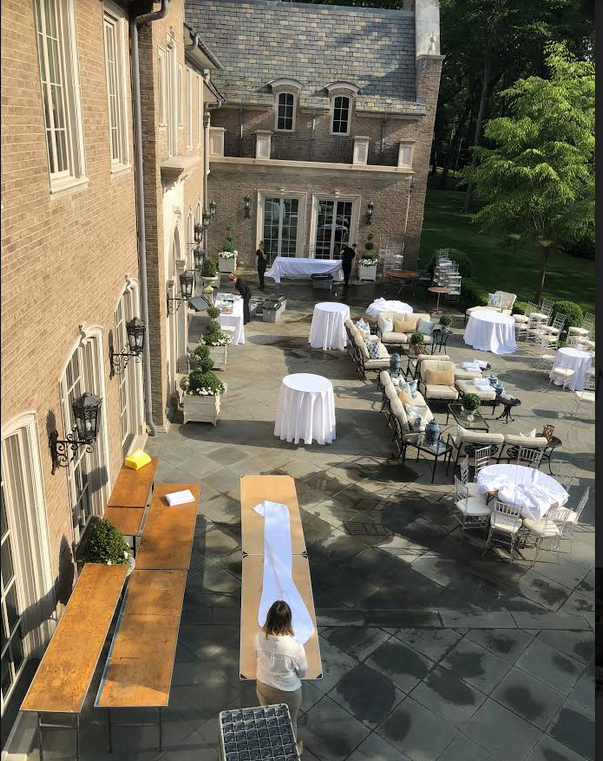 Thanks for sharing the photos of the prep for your marvelous party. 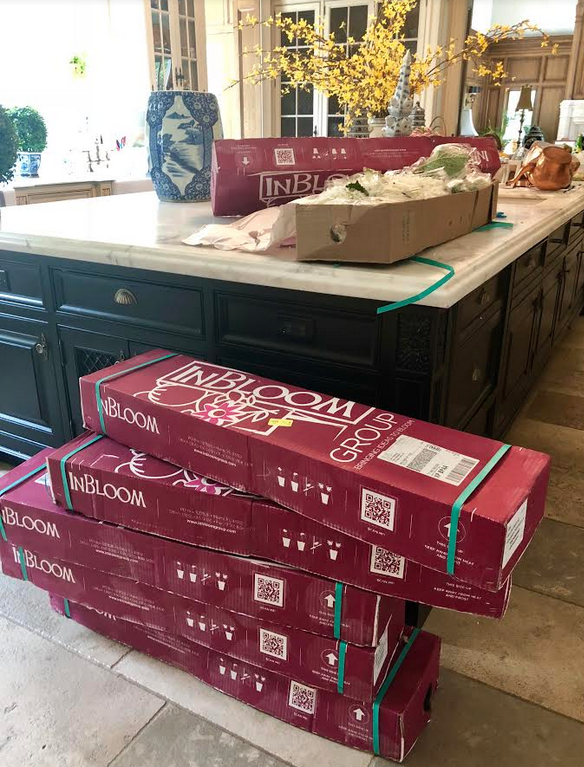 And thank you for the Costco and Ikea tips – Wow! Tina–It looks like it was a fabulous, fun party! Thanks for sharing your wonderful tips, love each and every one. And congratulations to your son on his graduation. Loved this post!!!! Thank you for all of the great ideas!! Lovely lovely. 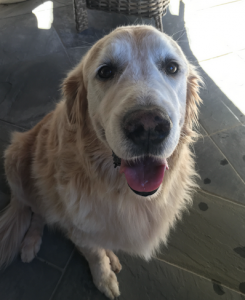 Hugs to Teddy in heaven. First, congratulations to your son! The party looks incredible and as always, dear Tina, perfection everywhere you look! Can’t wait for party post #2. 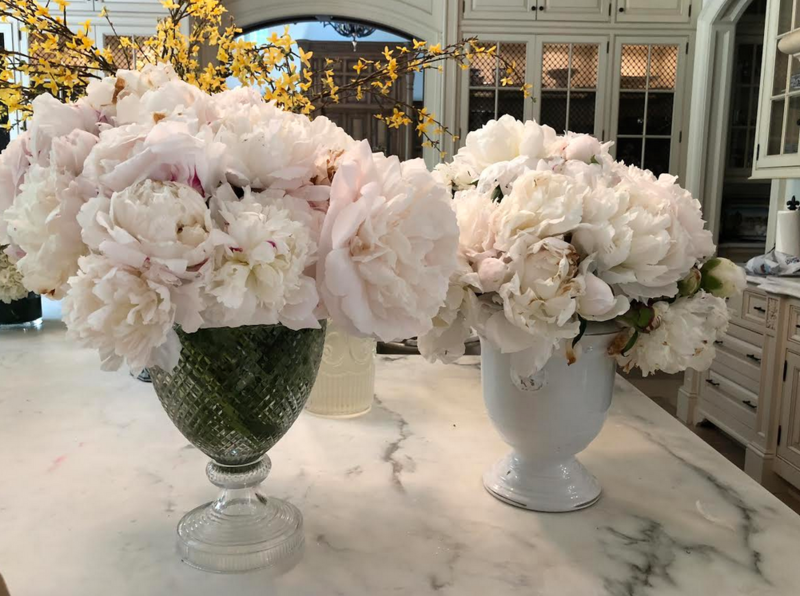 Oh, and where did you get those gorgeous cut glass vases holding the peonies? Exquisite! I spoke with one of your representatives before seeing this post about the white ginger jars. Hope you can locate somethings as elegant and pretty. Tina, you never cease to amaze me. It is incredible that you pulled off such a spectacular party for 115 guests in 3 weeks of planning! I truly admire you! Congrats to your son. 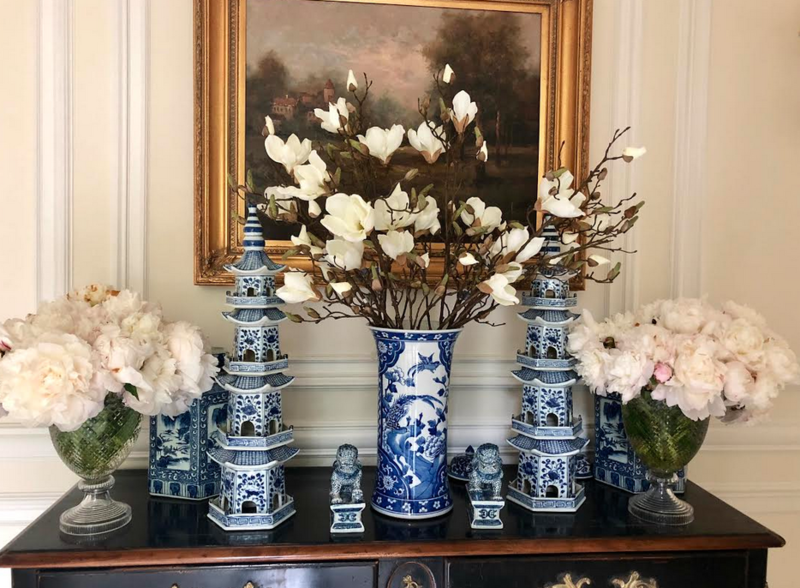 Can you id the footed flower vases? Congratulations to your son, Tina. You must be so proud. I love that he and your nephew were not too cool to help. I’m sure you have instilled in them a good work ethic or you have a low tolerance for idle hands – haha. 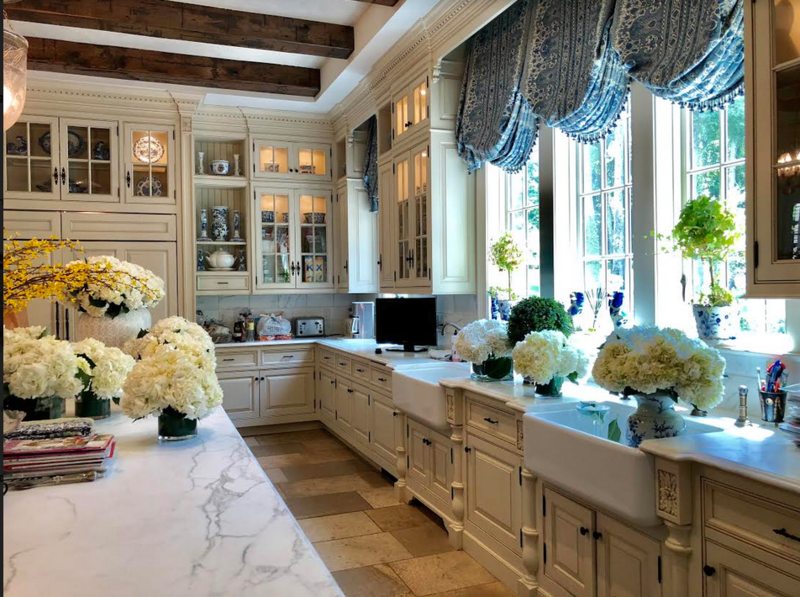 Of all the pictures I’ve seen of your kitchen over the years, I’ve never seen it from the view point of showing your beautiful double sinks! Yes, we haven’t seen your basement in awhile either. Your house is just gorgeous! Thank you for sharing and all your great tips.. I love hand towels, but find paper guest towels more sanitary for large parties. Love the tip Tip! Saves time and embarrassment. How fun! 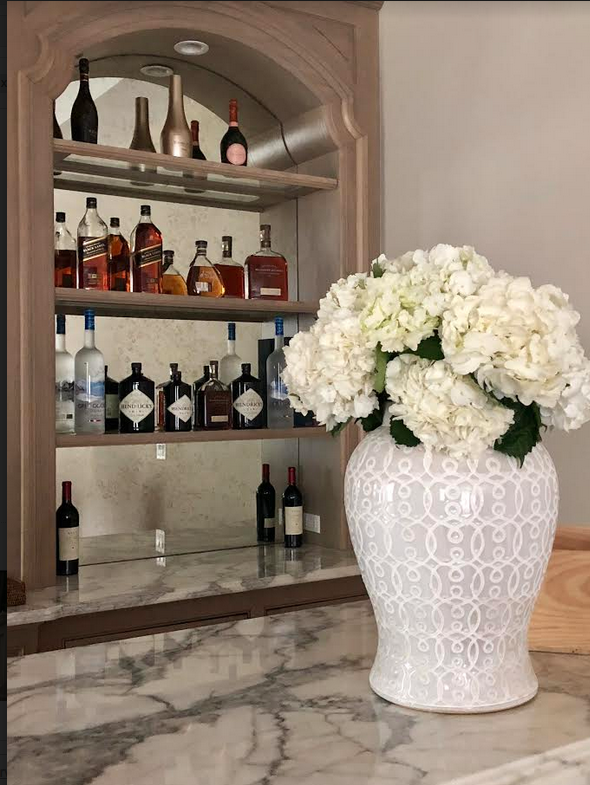 I love the white theme idea, I bet it was so beautiful when done and cannot wait to see the finished party decor. Love and appreciate your attention to detail as I too tend to be the same way. 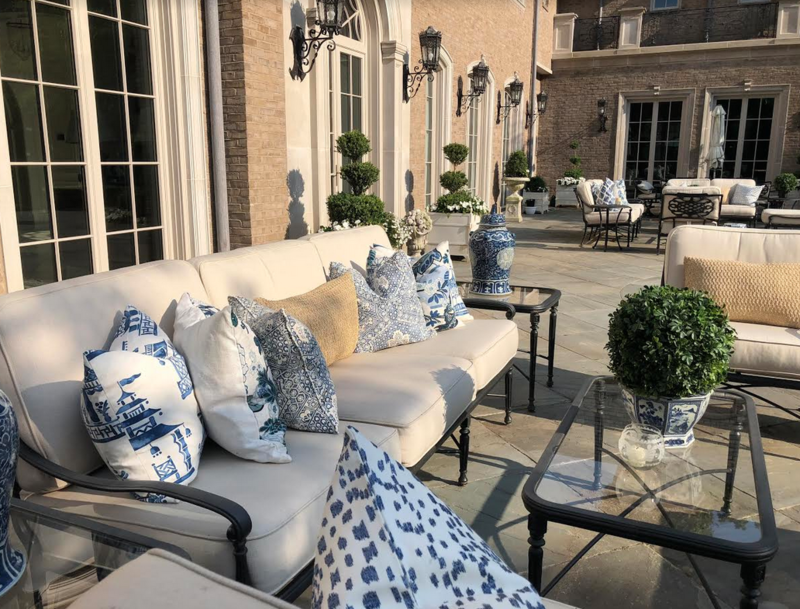 Your son is lucky to have you and your home is the perfect backdrop for a beautiful party. What a party! I know how much work goes into them, having thrown a few myself. I love the process but do stress way too much. I love all the tips but have to say the one where you said you have a time to be done by and then have ample time to take a bath and relax is the one takeaway which I don’t do. I always find myself running around until right before my guests come and then am wiped out! So thank you for that, I will think of you when I am sitting in my bubble bath next party, haha! BTW Tina saw a picture of you and you are gorgeous, think it was your son’s graduation, beautiful lady inside and out! First, I must say I coveted the Christmas Party Caroling Party and especially the photos of that catered event. The food was displayed in such creative ways and I just got so many great ideas from the photos. I just wished I had printed them out because I loved the food stations created by your caterer. 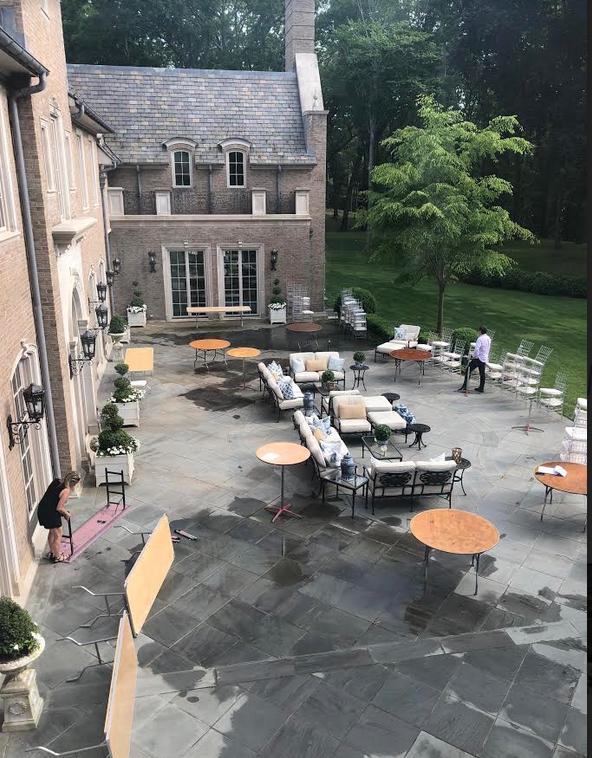 Did they cater both of these parties? 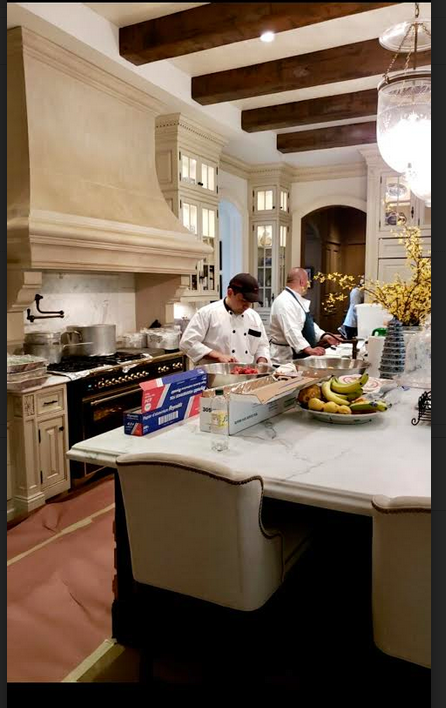 This party is also one of my favorites and I also saw some photos of our fabulous kitchen from another angle. 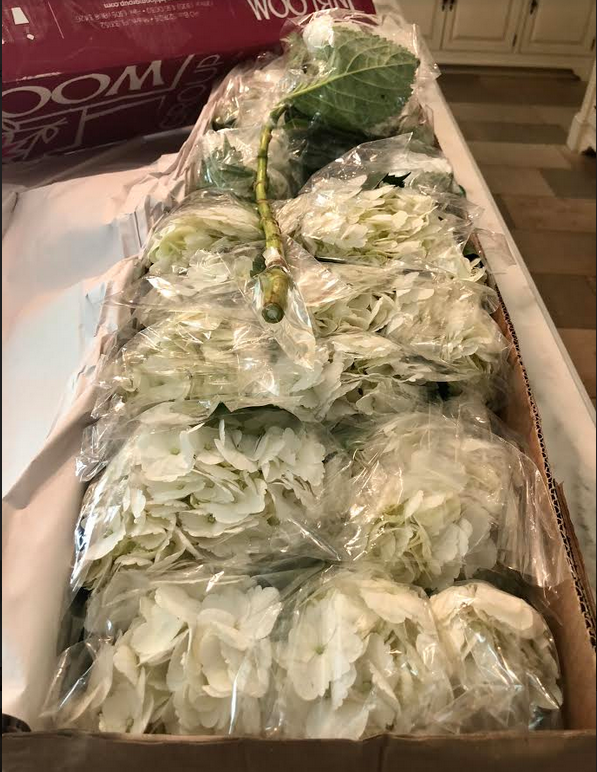 I had no idea that hydrangeas and other flowers could be ordered from Costco …….but I was in a store the other day and noticed their arrangements. They were so perfect you could just buy, take home, and place on your tables without any hesitation. And Ikea candles…..I will also look there. Thanks for such great tips! Stunningly beautiful and as always great tips! 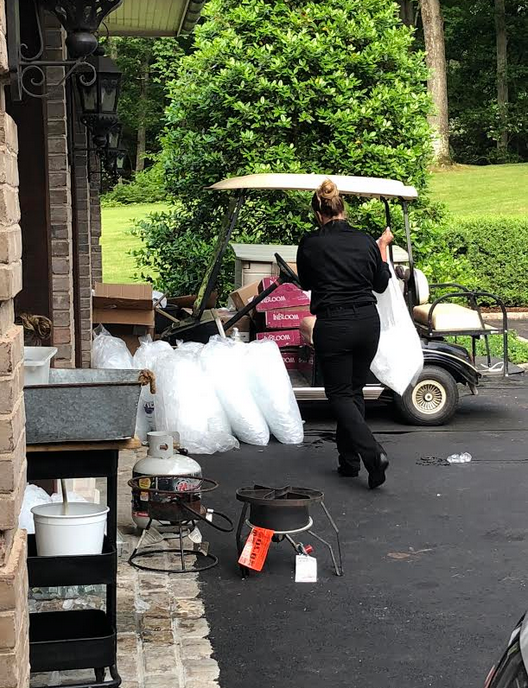 the preparations even look like it’s going to be a great party. Can’t wait to see its completion. 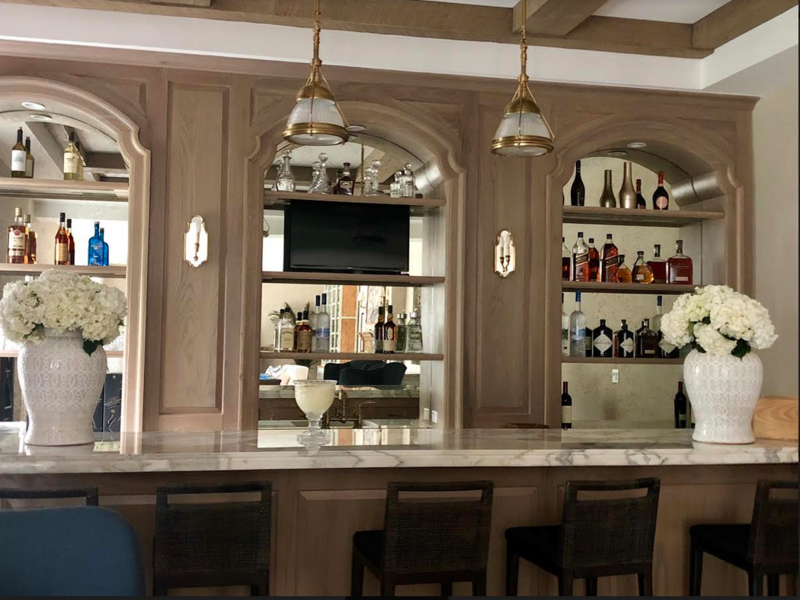 You have a bar in your house?! I think I need to add this to my list for my dream property! What a fabulous party. Loved watching all your talents put together. 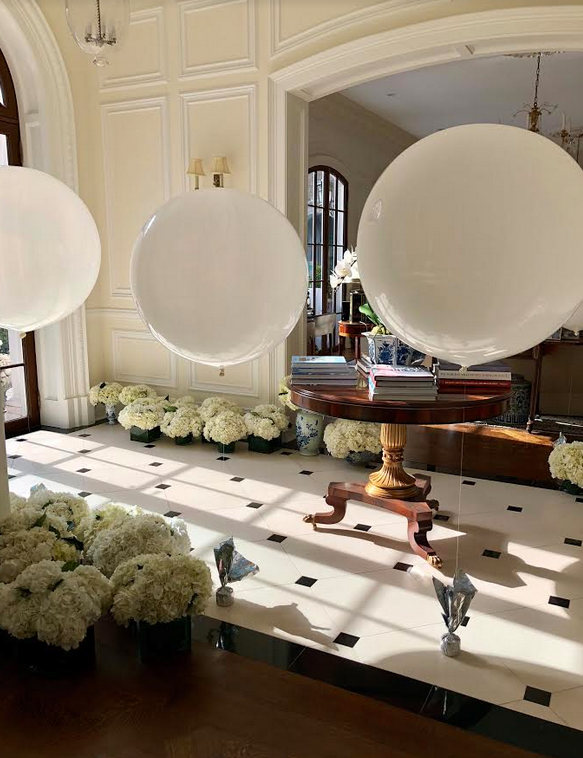 Love those white balloons!!! Your son is so lucky to have a mom and dad like you. Can’t wait to see Part II. Congratulations to your son! Your party was amazing! Great memories for your son. The house looked lovely with all the flowers, candles and all the small touches!